Tons of bogus Blackhawks merchandise was seized from a store in suburban Elk Grove Village. ELK GROVE VILLAGE, Ill. (WLS) -- Tons of bogus Blackhawks merchandise was seized from a store in suburban Elk Grove Village. The Cook County Sheriff and the feds raided Max International Trading Corporation on S. Elmhurst Road. 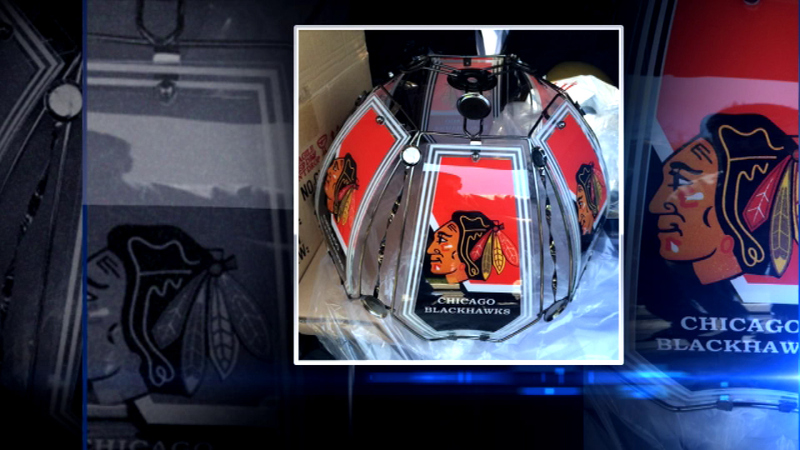 They said they found 130,000 glass inserts for lamp shades - many of them with fake Blackhawks logos on them. Prosecutors said Jeff Huang copied the logos, then sent them to China to have them glued onto lamp shades.